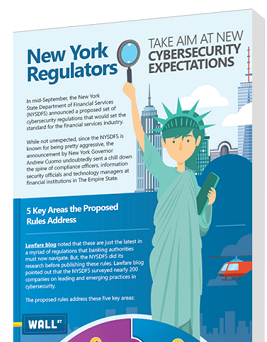 In mid-September, the New York State Department of Financial Services (NYDFS) announced a proposed set of cybersecurity regulations that would set the standard for the financial services industry. One area the proposed rules focuses is third party risk. Are you prepared? Do you know where to start? Have you reviewed your vendor's cybersecurity preparedness?